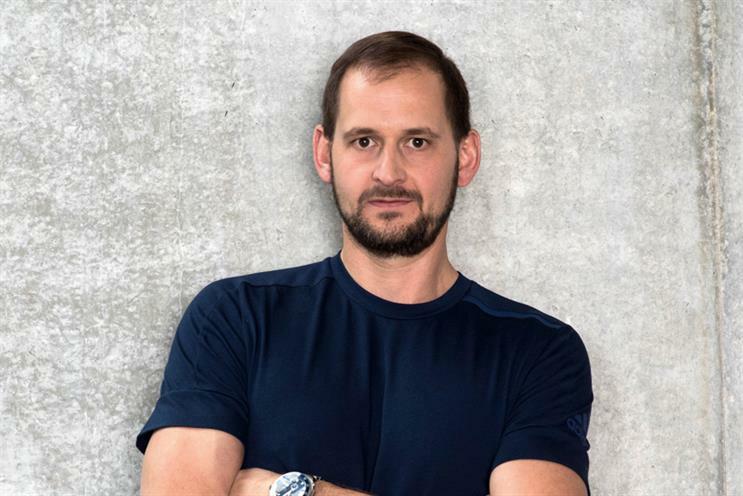 Some of the best ideas come from in-house teams, Adidas' Florian Alt claims. The rise of in-housing among brands is being driven in part by a desire by marketing teams for a richer, more varied working life, Florian Alt, brand chief at Adidas, has argued. Much of the debate around in-house agencies and on-site creative teams tends to focus on the perceived need for greater efficiencies and agile working patterns. However, according to Alt, vice-president of global brand communications at Adidas Football, this interpretation neglects the demands of talent already working within brand teams. Speaking to Campaign at Creativebrief’s Bite Live 2018 event in London this week, Alt said that the days of marketers simply briefing and judging agency work will soon be over. "There are a lot of talented people within the organisation who can do much more than just writing briefs. I mean no disrespect – this requires understanding and professionalism – but they can do so much more than writing a brief, sending it to an agency and then judging what they send back. I think a modern-day workforce wants to be more challenged and more active," he said. Alt cited the creation of Tango Squad FC, a football team formed from social media influencers taking part in Adidas’ Tango Squad community platform. With much of the interaction between community members taking part in "dark social", one of Alt’s marketers came up with the idea of an online video series following the progress of a team formed of some of Tango Squad’s most talented footballers from across the world. The resulting content, in which the team is managed by former Real Madrid star Xabi Alonso, garnered millions of views and is returning for a second season. "Yes, [Adidas’ agency] We Are Social helped us put together the episodic content, and take all the learnings for what works and doesn’t work, but the original idea was really born within the Adidas marketing team," Alt explained. Tango Squad was the subject of Alt’s session at Bite Live. He revealed that the community – named after a vintage Adidas football design – was created in response to the growth of a new, social media-driven subculture transforming how young people engage with football. One need only think of the change in dynamic around the England football team at this summer’s World Cup and the way in which players such as Jesse Lingard and Marcus Rashford engaged directly with fans, bypassing traditional media and creating richer personal brands based as much on their choice of clothes and music as their skills on the pitch. This is something that brands can tap into, Alt said, as EE did with its Wembley Cup fixture, when tens of thousands of people congregated to watch a football team comprising not professional players but YouTube stars. "We see, especially with the Gen Y or Gen Z target audience, that there is another element to football that keeps growing. It’s still very niche, [but] I do believe in five to eight years’ time that this will have grown to a level that it can’t be overlooked any more. There is an appetite from the younger target audience in that kind of football," he added. 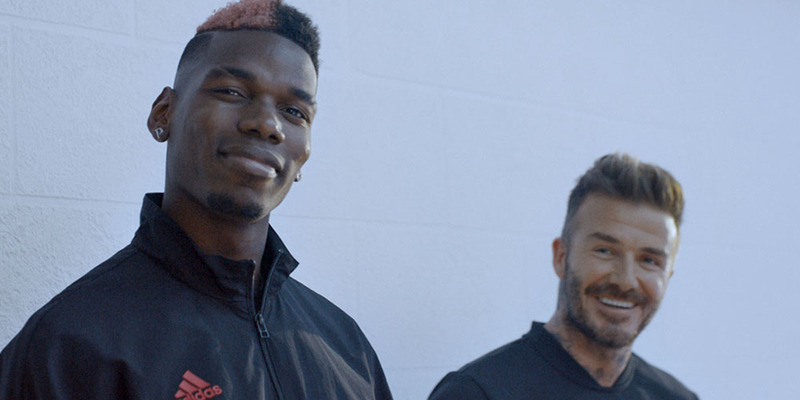 For Alt and Adidas, there is no better exemplar of this blurring of lines between street and stadium than France midfielder Paul Pogba (pictured below, left), who – despite mixed reviews of his performances at Manchester United – has superseded even established global names such as David Beckham and Lionel Messi in becoming the de facto face of Adidas’ football marketing. "[Pogba] is one of the best football players out there, highly respected and a world champion, but on the other side he has another interesting element to him, which is what he does when he’s off the pitch. How does he dress? What music does he listen to? What else drives him and interests him?" Alt said. "It’s the same with the kids. Yes, football means everything to them, but they are interested in cars, and girls, and a lot of other stuff that happens around them. As a brand, we can show how this comes to life and then have Paul, who is the perfect embodiment of what a lot of those kids aspire to be. It’s a perfect [example] of how those worlds can come together." Brands engaging with sports now require "both sides" of the influencer coin, Alt claimed. On the one hand, this means big, formal endorsements with talent and institutions; on the other, community-based programmes to discover the individuals and tribes reshaping football’s cultural landscape, especially in key urban markets. However, this does not mean a wholesale shift of media budget from legacy media channels to personalised, mobile-oriented communications, Alt argued. "It’s fair to say there is a shift towards social or digital media and communities, but I don’t think you’ll be able to neglect traditional advertising completely," he said. "There will always be moments in time when, if you want to make a statement on a bigger scale, there is no way around TV or bigger print or OOH."